Colvin Grubb was born Mar. 13, 1828 in Harrison Co., Ohio and died Feb. 9, 1908 near Conway, Taylor Co., Iowa. He married Emily Lewis Nov. 16, 1864 at Freeport, Harrison Co., Ohio. She was born May 20, 1835 near Freeport, Harrison Co., Ohio, daughter of Ephron Lewis, and died Oct. 29, 1915 near Conway, Taylor Co., Iowa. 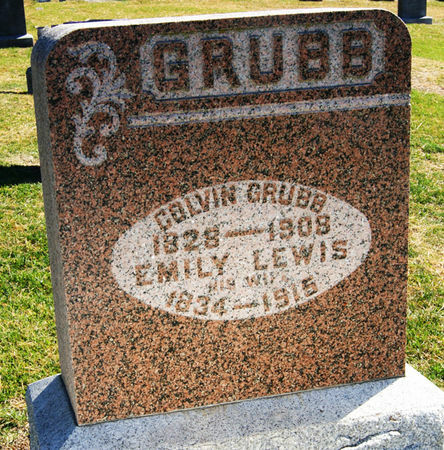 Searching for COLVIN GRUBB in Taylor County Iowa?